His vision was always ahead of his time as he kept working against the tide. As a result of his father’s death when he was 28, his life took an unmistakable new turn. He could have been a public lawyer, but his family circumstances took him to the world of business back in the 1960s, going on to create more than 500 jobs in different companies. All those who knew him highlight his generosity and his eagerness to take the world by storm. Juan Varela-Portas y Pardo was nominated Lugo Local of the Year at the age of 37 and was appointed chairman of the Chamber of Commerce at 40, holding the position for eight years. His passion for sports drove him to found Lugo’s basketball team, Breogán. In the 1990s, he left Madrid to return to his family’s manor house, persuaded that the future lay in the countryside and, adopting a suitable commercial approach, the brand PAZO DE VILANE was to be a major brand of quality Galician products. After a long stay in England, at the age of 25 she returned to the manor house with her parents to lead and foster this project from the outset, dealing with any task that was required. Nuria has a first degree in Economic and Business Studies and an Executive MBA. 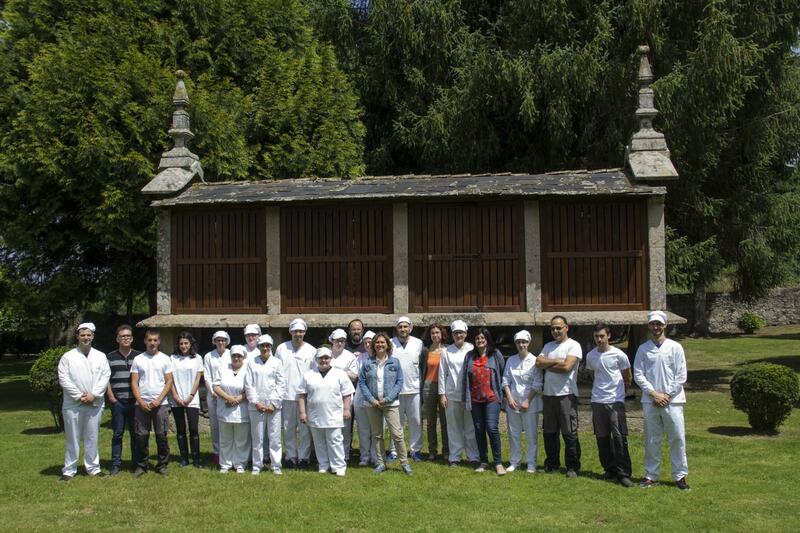 She has also been the manager of the Pazo de Vilane project since its foundation. After a career as a commercial lawyer spanning fifteen years, and having always been part of the Pazo de Vilane Family Board as a counsellor and legal advisor, she joined the Department of Creation, Digital Marketing and Communication in 2012. She is currently training as an art therapist in different disciplines connected with art and creativity. A doctor in Romance languages and a professor in the Department of Italian at the Complutense University of Madrid, Juan Varela-Portas de Orduña has taught at state secondary schools for the past twenty years, carrying out different activities in management. As chairman of the Family Board, he ensures compliance with the family guidelines embodying the company’s principles. From our beginnings in 1996, it was always clear to us at Pazo de Vilane that we had a commitment to job creation in the rural environment. Two decades later, we are proud to have given jobs to 25 people, 17 of whom are women.